How Fucked is the Occult? Re: How Fucked is the Occult? In discussing religion with those who wish to filter out positive and negative factors depending on their own biases**, I have posited that it is outside of these personal preferences, that in it's larger sense it is intended to be a system that encompasses positive and negative, good and evil, the nonsensical and the rational, the wholesome and the fucked and still impart meaning. Remove a component based upon personal preference and you have a compromised religion. The same goes for religion's wilder older sibling, The Occult. If you come across something that is fucked, then things are probably as they should be. ** This was in a discussion of 'The Wicker Man', which I claimed represented a necessary nod towards darkness that balanced the saccharine hippy narratives concerning Paganism, therefore heading back to a more complete appreciation. I'd tuned this thread out of my consciousness because it's fraught with mind-bending twisters, but that naughty boy jakell has turned the dial and it's on the radar again. jackall - just to be clear - if I may clarify for myself, what you say above - you believe that the 'occult' is any experience or belief that falls beyond the reasonable proof of scientific method? I don't know how to write this without sounding facetious, but it most certainly is not intended to be - is that a correct interpretation? I don't think I've ever attempted to define the Occult, it seems to me that it is one of those things that will always defy definition ie, when you think you've really nailed it, you've probably only accounted for a large portion. I usually circumvent the definition business by letting other folks kick the subject around for a short time (ie, they evoke whatever it is), and then it can be regarded as a 'thing' that needs no introduction. I think this is how we manage to encounter the world anyway, by accepting that some things simply exist. So is it alright to leave it undefined? This said, I don't think I would approach the subject using the idea of science (even on an exclusionary basis) because it is pretty limited and doesn't deal with metaphysics, also that approach tends to get us concerned with definitions again. Your mentioning of this made me think of Crowley who recommended that a good Occultist should become proficient in the sciences, but I don't think that he meant that one throws light upon the other, just that it is a way of training the mind. I did purposefully mention religion though as a good way of approaching the Occult, although there is an enormous of chaff to deal with it's been around a lot longer than science. There are those who think that religion is designed to keep the Occult at bay (because it is the 'bad' thing), but as I said above, I believe it is more usefully regarded as something that embraces both the good and bad thing in a way that hopefully imparts meaning to us. jakell - this is going to sound quite aggressive, but without body language, intonation and the twinkle of an eye available, there's not much I can do about imparting nuance, of which we are both so fond. This is a conundrum, eh what? Something that defies definition - isn't that kind of a standardised societal placeholder in lieu of saying we don't understand? IM(not very)HO that's a defeatist state of mind. Akin to 'we can never truly understand that which we will never know the entirety of'. That's exactly the self-defeating-at-the-start-line mechanism that enables it to remain hidden. i.e. 'It's too big for the mind - no point in having a look there - a circular problem - impossible'. Or maybe, do you consider that there is always going to be some subjects that are intractible - is that a wonder of existence? In a society that has gone collectively individualistic, this is a destined-to-fail entry point. Using this perspective as a premise, no two person can have the same perception of what a remotely esoteric subject being discussed actually is. An introduction is very much needed, to be able to follow another's line of reasoning. This touches on so many of our problems atm. The Age of Reasoning is declining, replaced by The Age of Feelings. This is evident everywhere. In fact, the weak-assed spectral end of Intuition is making a glorious play for dominance - as evidenced by the inability of many minds to distinguish between what is real and what is fake. Watching the news broadcasts from major networks is like watching a parody of news broadcasts from major networks. It's surreal. I believe it is more usefully regarded as something that embraces both the good and bad thing in a way that hopefully imparts meaning to us. That's some wishy-washy hogshit right there. Get focused, mate - we need brilliant minds at this moment in time, not vague generalities that describe almost anything, anywhere. I'm in complete agreement, it is 'wishy-washy', but that's the best I can do with this particular subject matter, which I believe needs a light touch. The alternative is to be heavy-handed which is probably a worse option. In my defence, I'm pretty precise about most other things, often to a fault.. but not this. Do you not agree that religion might be a better way of approaching the Occult than science, even though it is far more baroque and clunky? You're a bigger man than I, jakell - and in saying that, I assume you're not about to lambast me because you're actually a female and that I'm a mysoginist pig for not explicitly and consciously acknowledging that possibility. Can't please everyone - fact of life. Depends on how you view religion. Obviously. Individualism is the new game in town. Destiny Disrupted: A history of the world through Islamic eyes by Tamim Ansary. Recommended by Richard (sorry, on edit, not Ricahrd but ADAM) Curtis whilst being 'interviewed' by Russell Brand on his youtube channel. Christ, I could write a doctoral thesis about Brand's manias, compulsions and delusions - he's a fantastic example of someone who knows quite a few complex - and to many - beguiling words, which he randomly quotes to cover his confusion about... well, everything. I'm painfully aware that many individuals may consider little ol' me as being of similar mind. I should thank him though, via his guest, for sending me in the direction of the book. I was really, really hoping that I was going to receive some insights into Islamicism - perhaps, even, to sympathise with it's core tenets. To an extent, I did. Someone, somewhere, had some good ideas about being nice to each other. All getting along just dandy. In order to achieve this nirvana, horrible actions must be taken. And that, in a nutshell, is my summation of religion. It's succinct, if nothing else. The rest of the book, about 99% of it, is devoted to the wars that took place in the wake of this revelation. Mirroring what happened in The West. So... the core tenets of organised, universally accepted religion are based on generally good, moral judgements. They are about community - if community is your thang. However, the methods of implementation are so crass, leading to anything but unity. Another conundrum. Yes, I agree that religion is an apt approach - inasmuch that religion is an overarching concept of Communal Unity as opposed to the binary opposite of the occult's overarching concept of Self. The occult is practiced for self. Self. Self. Self. And we wonder why the occult is so visible around us in the Age of Individual Self. They winnin' this contest, dude. Science is another subject entirely, a labyrinth of truths, half-truths and outright zingers - that is anything but settled - far less so than religion, in my mind. Much of what we term science has plenty in common with religion, particularly belief. That's for another thread, though. Chuffed to have you here. Hey, I'm finding that being nice, complimentary and understanding feels good. Whodathunkit? The second, more specific, nudge came after viewing discussions between Holocaust deniers and their detractors. On the surface these seemed to be about historical revision, but I noticed that when incontrovertible facts were provided, the deniers were mostly clinging to a belief system about Jews in general, and that the facts were regarded as secondary to this. at the time I was naive enouigh to just see this on the Right, but several years later after observing the antics of SJW's and antifa I saw this on the other side too. So I started to look towards belief systems instead of the thin skin of rationality that often overlays them, and the category that contains these is religion, the most data, opinion and history will be found there. Thus I changed my attitude towards religion to something worthy of study rather than a collection of mistakes and delusions from our past. It seems to me that you feel averse to 'The Occult', but I see it as a mostly formless thing that has no polarity and that religion is an attempt to give form to it, thus religion should also be neutral ie, it isn't Dr Jekyll to The Occult's Mr Hyde. I would like to add another more current example to my 'Wicker Man' reference above which emerged out of several of American Dream's pastes and also concerns Paganism. This was about 'good' followers of Paganism (ie Lefties) fretting about the presence of 'bad' Pagans in their religion (who predictably got called 'Nazis'), and this seemed to go against my own view of religion that it, in its proper form, should address and contain both dark and light in a way that imparts meaning. This is written from the perspective of what the dominant occult forces are at this point in history, regardless of its more benign or well meaning offshoots or groups that may exist today, as they are a weak force on society at this present point in history. Briefly, it has to do with using methods to access the unconscious and harness that energy via the conscious will, in other words, a recipe for disaster. Yes. I translate it as such. In my mind the intent of top cultists "in the know" is not to physically conjure up a demon "themselves" from quantum particles and command it, but to conjure up a demon (confused perspectives) in the minds others, the masses, and command that in their favor. The "demon" is the confusion in the minds of others caused by the polarities and it can be directed to the benefit of the Magi. So indeed it is the "trickster." Deep S - what is occultism, though? What is occultism accessing? Tell me yours and I'll show you mine. It is accessing the minds and wills of other people in a manner that is unknown and unseen by the people being accessed. I don't mean in a quantum physics sort of way either. I mean plain old fashioned trickery. For a long time I believed that the top occultists actually believed that by practicing physical and vocal rituals they were invoking changes in the quantum environment and, for lack of a better term, creating a force "out of nothing" that was traveling the quantumsphere doing their bidding but I no longer believe that they believe this. This is what they want the lower initiates to believe. This is what the top occultists want the public to believe, but in my mind this is not their intent. Their true intent is simply to evoke a mindset in other people that will benefit the occultists to the detriment of the affected persons. After years of study I have boiled it down to a principle that simple. The rest of the glorious verbology and symbology is their system of communication with each other and a mask to confuse the common man and lower initiates. So in essence I guess you could say they have "conjured up Demons" but that simply means they have created a state of debilitating confusion in the minds of the masses that can be exploited and THAT is the true Demon they seek to create. The name Joseph is a biblical label and would take me a whole page to explain, but, its the people from the land of Canaan (physically real or metaphorical, whichever). Joseph known a Jehoshuah, Oshea...family that lived in area/village of "Shittim." Family/tribe of Joseph associated with Cain, also with the Tribe Of Levi. Sabbateans, also known as the Frankists. "Frankism", remaining followers and successors to the Sabbateans and followers of Sabbatai Zevi. These people are carrying the torch of the trickster mindset that spans back thousands of years. Another less well-known offshoot of the Jewish population in Turkey are the Sabbateans, (or "Donme"), the followers of a 17th century Jewish cleric, Sabbatai Sevi, who lived in Izmir (and later Thessaloniki) and claimed to be the messiah. Confronted with the option of converting to Islam or dying, Sevi became a Muslim. Many of his followers did so as well, while secretly maintaining their Jewish observances. No accurate statistics exist regarding the size of the Sabbatean community, or how many of those still adhere to Jewish traditions, though they may number in the thousands. "Donme", (ancient lineage of the sabbateans/frankists) and, coincidentally, an acronym for the word "Donme" is "Demon." The Donme are the ancient archetypical mindset/philosophy/ generational thinking pattern of the modern day Sabbateans/frankists, and that sort of generational philosophical thinking that goes back generations. The Demonic Trickster intent by whatever label, name, groups, or rituals a person wants to apply to it, of which there are many and always have been. I don't know exactly what all the previous incarnations of occultism are and exactly what they were like but todays driving and dominant occult forces are inherently evil. There are offshoots "white hats" that attempt to use the chaos forces to the benefit of mankind but due to its restrictions such as excercising basic decency and compassion it doesn't stand much of a chance in this time period in history due to the limitations of the tools in it's toolbox. The willingness to harness the forces of utter evil and depravity is a powerful force. There has been an intentional effort for many centuries to infiltrate the Catholic Church with this mindset and it has been successful. The Catholic Church and it's basic philosophical foundation have been undermined and replaced with depravity. The walls of Christianity have been breached and a seige has taken place. To quote Jan Irvin, could mysticism be "the tool of tyrants"? More and more this rang true as well. Standing in the back yard at night under the moonlight facing the cardinal points, chanting, etc... is futile. Those are metaphors for concepts, not something the true top occultists really believe works. True top occultists would love nothing more than for people to believe that these physical actions work because while people are doing that the true top occultists is doing what WORKS, which is practicing the art of the deception. Using their silly hats and grand looking robes they deceive onlookers into believing that these trappings of the vampire make these occultists powerful and special when in reality they are only bipedal mammals in fancy hats and robes. Back in 2011 John Michael Greer took a bit of departure from his usual thrust on the Archdruid Report and started to muse on 'magic', he used this 'friendlier' word to approach people with something that they felt familiar with, and then twist it into something unexpected, he has this habit of coming at things 'sideways' . After tossing this around for a while, he then defined magic as "The art and science of changing consciousness in accordance with the Will". He didn't specify whether this is one's own consciousness or that of others, but I take it to be both as they tend to become entangled as we encounter each other. Hope this doesn't sound trite, but one man's trickery is another man's "The art and science of changing consciousness in accordance with the Will". Considering that everything ever conceived, created or imagined by humankind has originated solely inside human mind, control over what an individual or collective group of minds receives as input shapes their reality, regardless of intrinsic basic premise of mind. It can be argued that each and every one of us shape our own reality through mind - we all have unique worldviews. But a subversion of only a tiny part of each mind, by say, the occult practices, could lead to a spiralling exponential distortion of the individual mind in which the individual mind in question has their intrinsic mindset altered massively by something tiny, which in turn reinforces the malignant effect out in the real world as the individual mind is infiltrated, becomes accustomed to and ultimately reinforces the planted occult 'idea'. Parasite springs to mind. There are definitely sinister possibilities available, but I didn't take this from Greer's article. In the first instance I took it to mean one's own consciousness, which would be the first logical step before attempting anything in the wider world, and the second, as I posited above, to be the interface between one's own consciousness and that of others. The element of reciprocity hopefully acts to minimise the possibility of malice, manipulation and deceit. If I recall correctly, later in the series he outlines the concepts of theurgy and thaumaturgy, and above we are talking of instances of former, the treatment of others as objects (malice, manipulation and deceit etc) would fall under the latter. Theurgy is what Greer seems to favour. I haven't got around to that part yet, so I hope I haven't got this wrong. I'm trying to go at Greer's pace here. 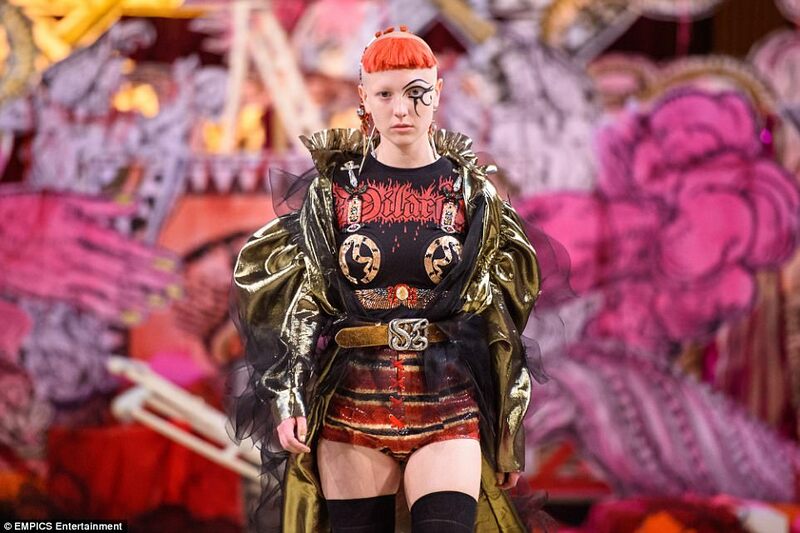 A London church has apologised for hosting a satanic fashion show. 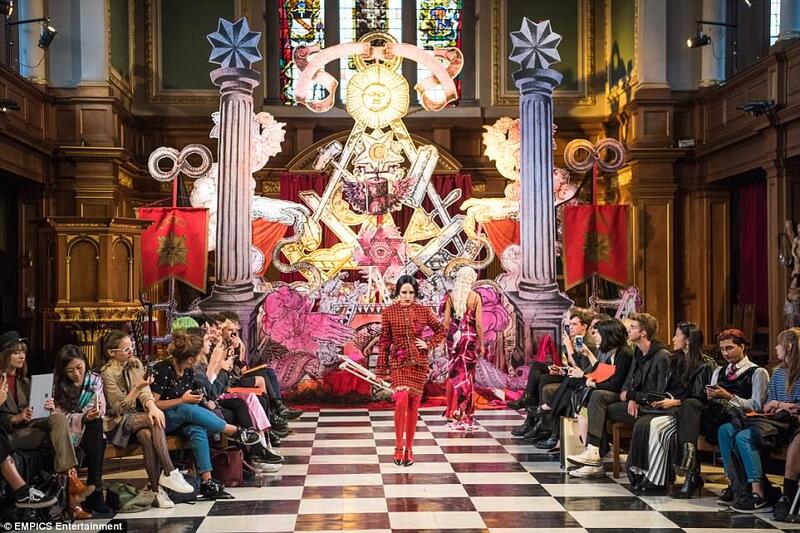 St Andrew's Church in Holborn received criticism after it offered up its building as part of London fashion week on Monday evening. 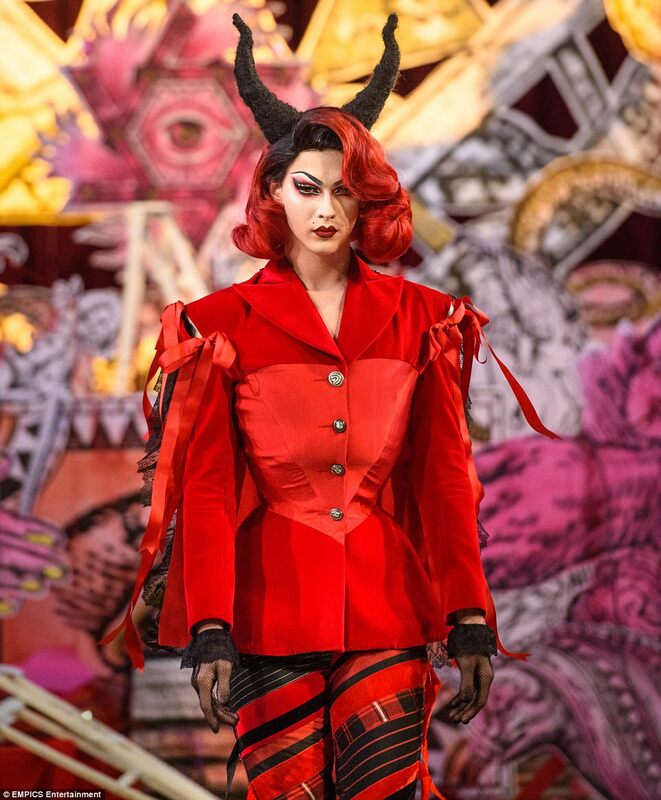 The Anglican church's alter was transformed into a runway for models wearing inverted crosses, devil horns and vampire costumes to walk down in Turkish designer Dilara Findikoglu's Spring/Summer 2018 collection. The Turkish designer who grew up with Muslim parents in Istanbul has admitted to constantly wanting to explore. She told Vogue magazine: "I'm into parapsychology and all the occult and magic stuff, so when I was reading those books, they thought I was going to be a Satanist." A spokesperson for the Diocese of London issued a statement to Premier in which the church apologised for permitting the event. I saw that last week when Kevin Flaherty posted it to his site. I could excuse this as advanced trolling, except ... why do this in a church? That seems especially in-your-face. If St. Andrew's knew it was simply a troll, why allow them to use the space? Instead -- and this impression is based on knowledge that satan-worship does exist within both the Anglican and Catholic churches -- they are engaging in a variation of Revelation of the Method? I would like to weigh in on the general topic, i.e. the fucked-ness of the so-called "Occult", whatever that is. Reality creation is a natural endowment of the human animal. So is tool creation, and so mixing the two is as human as apple pie is American. Whatever technique can be used to focus intention into the material plane of manifestation is fair game. However, there are always consequences. If your net flow of energy is negative, i.e. "inward" towards your own locus of control, this has a tendency to enfeeble your immediate relational networks, resulting (in extreme cases) in fragmentation and isolation. Cosmic levels of negative flow result in cosmic levels of fragmentation and isolation. If, on the other hand, your net flow of energy is positive, i.e. "outward" from your own locus of control, this has a tendency to enrich your immediate relational networks, resulting in integration and connection. Cosmic levels of positive flow result in cosmic levels of integration and connection. This is why I lean towards Christianity while still accepting the use of reality-creating technologies. If you intend integration and connection, that is what will reverberate outwards from you. For me, Jesus is the role model and archetype for the use of focused intention to create integration and connection.